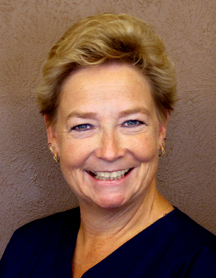 Kelly Moore has worked in the insurance field for over 15 years. At the Eye Center she is able to help our patients understand what their insurance covers. Keep in mind that there are two kinds of insurance that cover eye care: (1) Major Medical Care covers eye health conditions. In this case Medicare, Oregon Health, Blue Cross and Pacific Source are just a few that she has expertise in working with. (2) Vision insurance covers visual acuity needs including glasses and contact lenses. Examples of these include VSP and MODA. Whatever your financial issues, be sure to discuss them with Kelly. She knows how important your eyesight is and will do everything she can to help you with your financial issues. It is always a good idea to call and ask her advice. With her years of experience, she can answer questions about your existing insurance as well as explore features of other plans you may be interested in. This is especially important with the new “Affordable Care Act” or more specifically “Cover Oregon”.